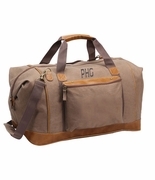 Sophisticated Samsonite corporate durable men's weekend luggage bag that will become a favorite travel duffel. 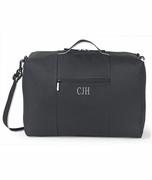 A garment-duffle combo style with large u-shaped zip top for ease in packing, and an upper portion garment bag that folds away to lay fully flat when unzipped. Perfect for a short business trip or weekend. Front, side and interior zippered pockets for extra storage. Integrated hanging hoop. Trolley strap for easy mobility. Adjustable removable shoulder strap with pad. Top grab padded handle wrap. Men's travel luggage measures 22"H x 13.5"W x 12.5" deep. Material is 750D polyester. Quality constructed bag. Purchased this bag for a Christmas present and it is absolutely a fantastic traveling bag. It looks very professional and is very well made. This transaction went very quick and I received the bag within 2-3 days. Will definitely buy from this company again. Purchased 6 of these bags for our leadership team. Requested our company logo be embroidered on the bag. Fabulous customer service and incredible turnaround time. Classy bag for my team! Purchased 8 of these bags for my groomsmen. 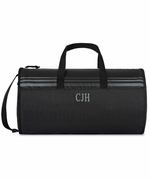 What a hit, they all loved them especially the personalized monogram. 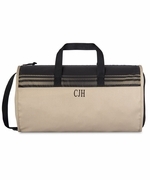 It's nice to travel in class and this bag hits the mark - Quality embroidered monogram! 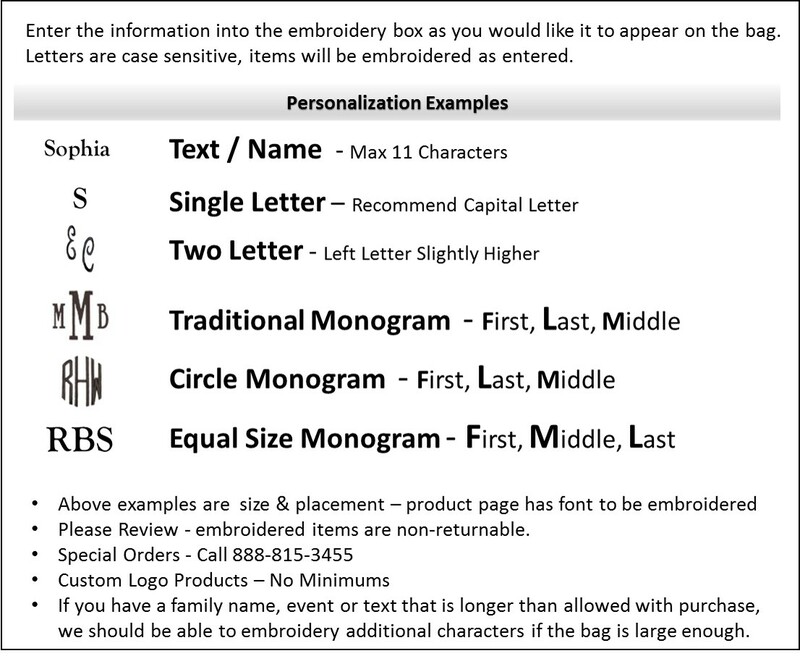 Purchased the Tan bag and had very fast service, even with personalized embroidery.